Remember I recently told you about India's top eyewear site Lenskart's Sunglass Carnival? 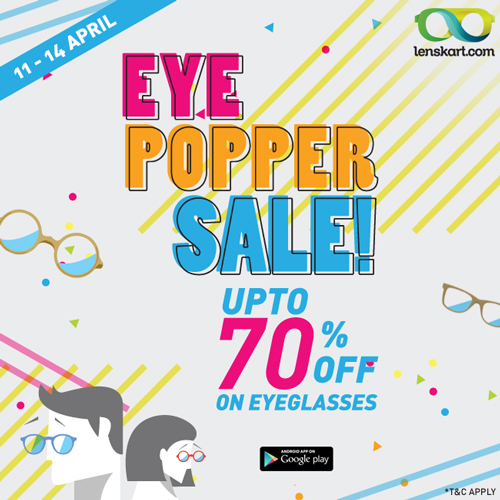 Well, the good folks out there are being very generous to us and are now having their Eye Popper Sale 11th to 14th of April! Yup, that's tomorrow! 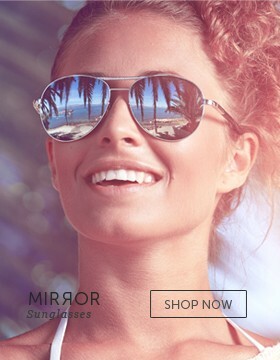 They have some fantastic deals on eyeglasses, sunglasses, contact lenses, prescription lens and powered sunglasses by various brands all across the world for men, women and children. So go ahead and take advantage of this sale. I ordered contact lenses from Lenskart a few days ago and they will be arriving today. 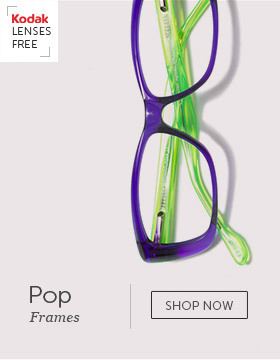 But now that I know about this sale, maybe I'll get a new pair of glasses. What are you planning to get? I love glasses, I mean, because I wear one when I am at home (like now :) and it's always good to see new styles and sale! Sounds like there are some great eyewear deals in this sale! Good, I was just planning on getting a new pair of sunnies! Thanks for the info! Great post dear! Thanks for sharing. I hope there will be many who take advantage of this sale, prescription glasses are so pricey! They look great, I love a good sale! Now I started imagining a sunglass carnival. What a lovely thing.